Art can make an unusual and original gift to mark a variety of different occasions, from birthdays to anniversaries and weddings. 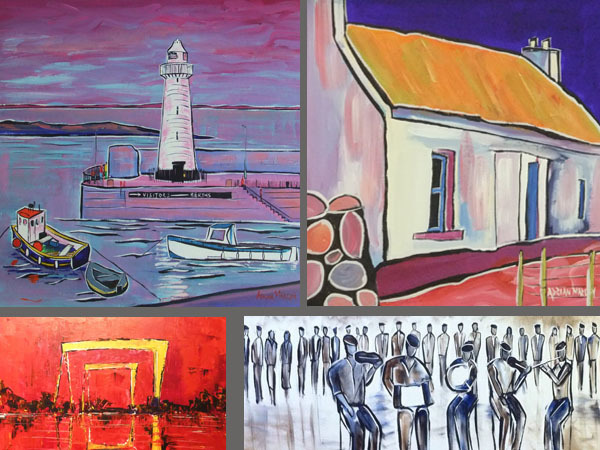 The Portrush gallery’s comprehensive selection of original art across a broad range of subjects and styles at varying prices, means there’s something to suit just about any eventuality and budget. For further advice on purchasing art as a gift, please contact the Portrush gallery directly. You can also browse the wedding list and vouchers sections of the website.